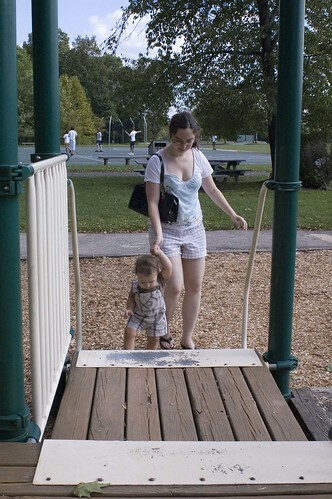 One of my favorite autumn activities with Nathan is the playground or park. 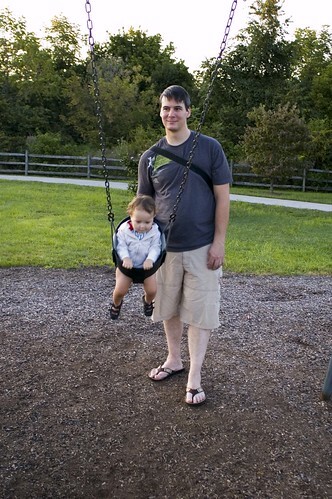 We visited several times in the summer, but he still needed to be carried then since I didn't want him crawling on the dirt, and he enjoyed the swings, but swings would only provide him with a few minutes of happiness before he'd simply look bored. Combine that with the dislike I have of being super sweaty hot and my dislike of grass and dirt, we'd simply go home after a very short visit and our visits were few and far between. In the last months, things have vastly changed. The weather has cooled remarkably, but is still within the 'nice' range. Paul has started to come home earlier due to a change in work location. 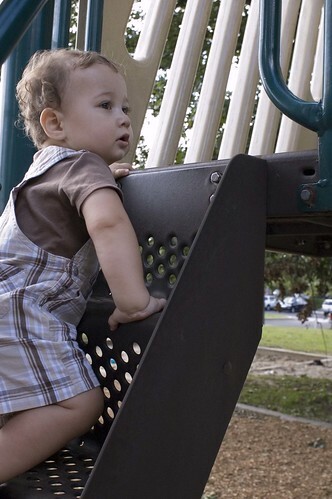 Nathan's started walking and climbing around the playground sets. 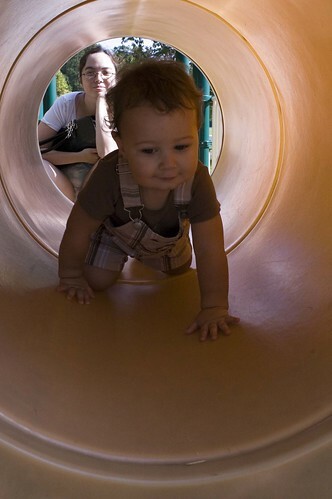 Now, when he sees a tunnel, he's the first to try and crawl through it. Or he'll rush up the nearest set of stairs, without looking to see if I'm behind him until he's more than halfway up. 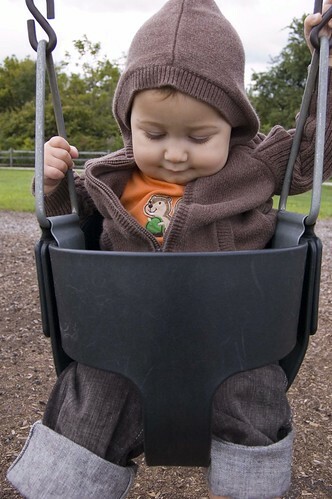 But, where I enjoy him most is the swings. Sometimes when he swings, he laughs every single time he is heading for me. Today, he kicked his feet all over the place when I went to push him because he was laughing hard. I laughed just as hard, which is pretty hard. Both Nathan and I have loud voices and laughs. I'm lucky, though. Now that I got him with me, the rest of the world seems to love to hear us laugh.